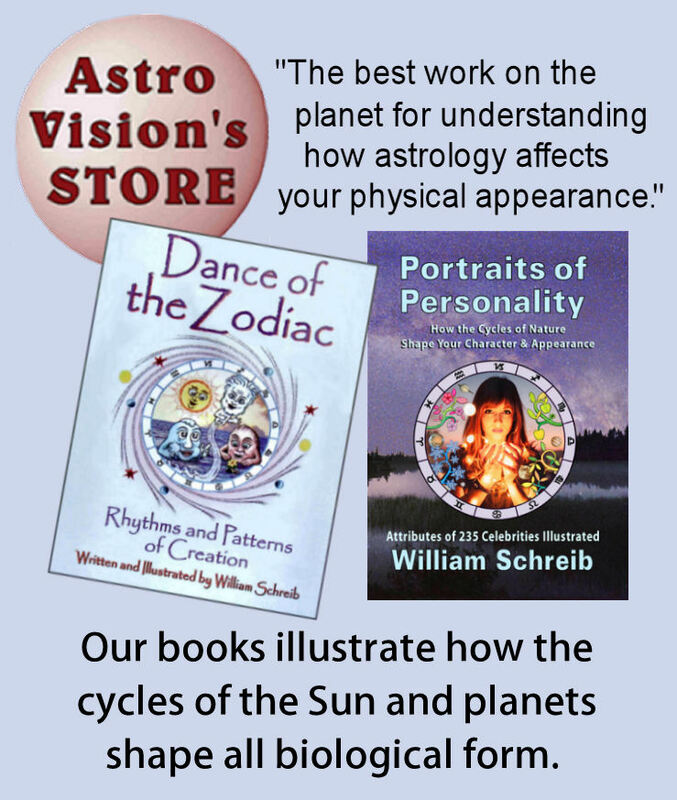 Homepage - Astrovisions by William Schreib - Seeing is Believing! Illustrations show how each Zodiac Sign empowers its own section in the body, and how this defines each Sign’s body type, body language and physical stance. Follow the Dance of the Seasons. traits of all life on this Earth. features Blog contributions from writers who are fascinated by astrology and the wonders of Nature’s Divine Process of Creation.